Professional heating, air conditioning, air duct, fireplace & furnace services in Stanislaus, San Joaquin, Alameda and Merced Counties. Have you had services with us and want to let us know how we did? We value your opinion and welcome you to leave us a review. Welcome to Air Kustoms Inc.
Keeping cool in the summer and warm and toasty during the winter is an important part of maintaining a comfortable home. But in order to keep your home at an optimal climate, you need your heating and AC systems to be in the best working order. What’s more, a properly functioning, modern HVAC system will run as energy efficiently as possible, keeping your utility costs down. At Air Kustoms Inc, we understand that you want to be kept comfortable without breaking the bank. 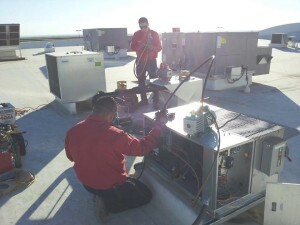 We’ve provided the Stanislaus, San Joaquin, Alameda, and Merced counties with top-notch HVAC services at affordable prices since 2005. We fulfill all types of general heating and air conditioning services and are eager to give your home the perfect climate. If you are not 100% satisfied with your comfort system after installation then you pay absolutely nothing! Did you know that 9 out of 10 homeowners do research online before hiring a service pro? That’s why we are on Home Advisor Pro. We feel it’s important to let you know how our service is. We also want to let you know what type of great service you’re getting. BOTTOM LINE – We Guarantee All Work To Your Satisfaction PERIOD. Click here to leave us a review on our website or choose your favorite review site below. If you’re looking for excellent service and a people-friendly approach, then you’ve come to the right place. At Air Kustoms Inc, our ultimate goal is to serve you and make your experience a pleasant one, and our team will stop at nothing to ensure that you come away more than satisfied.